Honestly, I'm not sure if the title of this post is correct. The dictionaries I looked up, tells, there's no English translation to the world "tzatziki". OK then, I leave it like this, and hope, will be understood. * In case there's no very tender courgette at hands, it's possible to cheat a bit using bit bigger vegetable; when it's grated, the middle, seeded part, should be left out. These seeded pieces, for example, can be used later to make a courgette cream soup á la Chef Viki. Pour the yogurt and sour cream in a very dense filter and leave it to drip for 1,5-2 hours, stir few times. 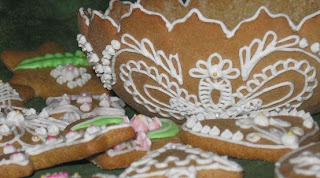 The quantity will go at least half, but in result the filter will hold a really dense mixture of sour cream and yogurt. Wash the courgettes, chop the two ends and grate it on apple-grate. When grating, try to make longer filaments. Mix it with 2-3 big pinches of salt and leave it to rest for 30-45 minutes. Peel the garlic, breach it to the well dripped yogurt-sour cream mixture. Add freshly grounded black pepper. 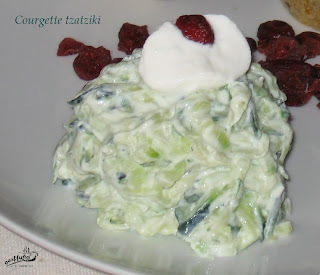 Take the courgette, twist is well from its salty juice and put to the creams. Mix it well with a fork, than put to rest in the refrige for at least half an hour. Serve the courgette tzatziki with rosemary chicken leg roasted on salt. To do this, take the chicken legs, wash down a bit than dry it with paper towel. Carefully raise the skin (don't pull of, but raise only). Scatter the meat with freshly grounded black pepper and with chopped green rosemary. Fold back the skin, turn the chicken leg and flavour the other side similarly. Pour salt in a baking dish, approximately one finger thick. Place the chicken legs with the skinned part on the salt. Cover the baking dish with tinfoil and place the dish in hot (200 degrees) oven. 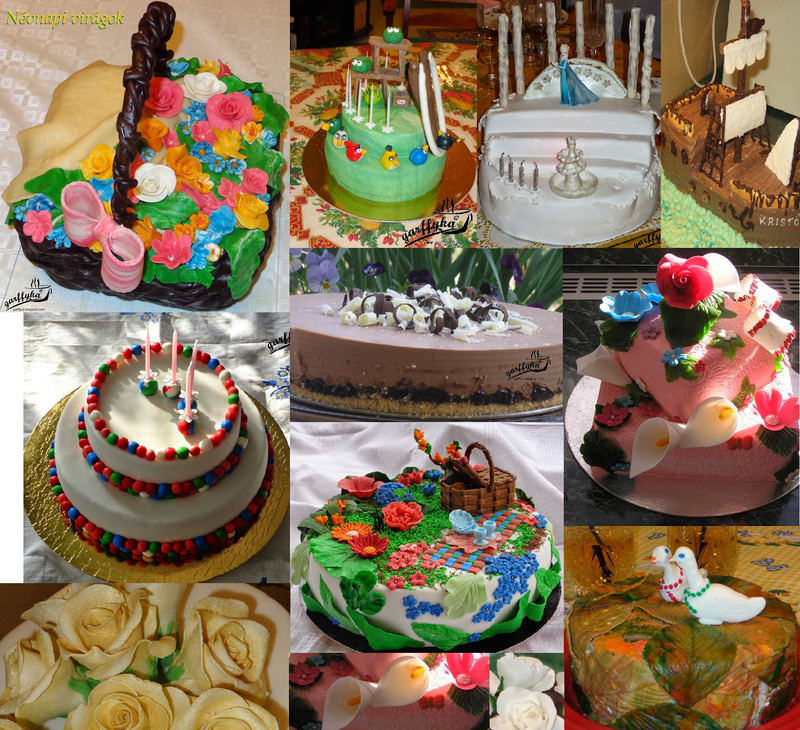 Bake it for 20 minutes, than lower the temperature to 175 degrees for another 30 minutes. After the almost one hour, take out the baking dish, very carefully peel the tinfoil, turn the chicken legs, so the skinned part gets on top. Bake for another 10-15 minutes, turning the oven to grill for the last 3-5 minutes to frizzle the chicken skin. When done, leave the meat for few minutes to rest in the baking dish. 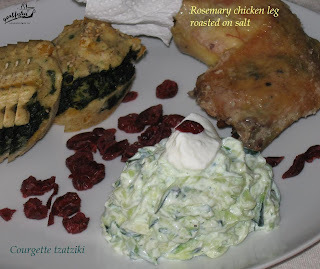 Serve the roasted chicken with courgette tzatziki, stewed cranberry and spinach-corn muffin. Köszi okostojás, a Sztaki szótárt néztem, ott nem volt. c + tz = ?